Over the years, a number of customers have asked about buying acrylic and making their own sandwich frames. There are a number of considerations that you will need to keep in mind to build an acrylic sandwich frame successfully. I don't sell acrylic for sandwich frames. I only carry .118" acrylic and for many of your frames you will need .25" or .375" thick acrylic for the back. High Quality Or As Cheap As Possible? Some of you just want to put together an acrylic frame as cheap as possible without regard to the overall esthetics. Others want a high quality professional looking product. This page is geared towards those wanting a professional looking product. Web searches can be done on any of these subjects. I won't provide actual links as pages and videos come and go. You can search for these on your own. What Acrylic to Use? There are a lot of acrylic and Styrene products available online and through your home centers. Framing Grade Acrylic should be used. It is manufactured to higher standards than regular acrylic and will have fewer defects. Styrene isn't recommended. Framing Grade Acylic comes in Premium Clear (FF3), Non-Glare (P99), UV Protective (OP3) and UV/NG (OP3P99). OP3 and OP3P99 has a 99% UV Protective rating. Some folk want to use a higher grade for both the front and back of the frame. This isn't necessary. Use the higher grade on the front and Premium Clear on the back. Since the back is facing the wall, there is no need for Non-Glare or UV Protective properties on the back. What Thickness of Acrylic to Use? Framing Grade Acrylic comes in a variety of Thicknesses with .090" and .118" being the most prevalant. For smaller prints (under about 12" x 16"), .118" can be used on both the front and back. For larger prints, a thicker back is needed to keep the acrylic from flexing or bowing. For most larger prints 1/4" is fine, with some larger prints needing 3/8" or thicker. Thicker acrylic is more difficult to find. A sign maker might be your best bet. The pieces must be the identical size. This goes without saying. When you line up the front and back pieces, the must be exactly the same size. Anything else is distracting. What About The Edges? Acrylic is typically cut on a table saw. The quality of the blade used in the saw will determine the quality of the edges. 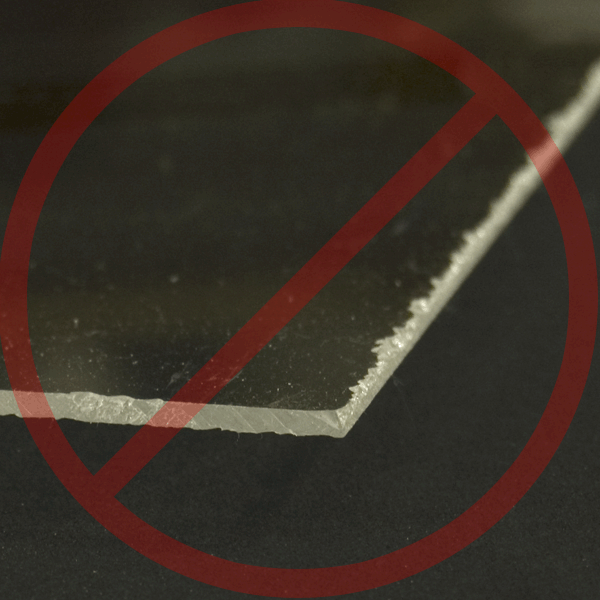 Here is a piece of acrylic cut with a blade not intended for plastics. No matter what you do to this acrylic, it will never be suitable for a sandwich frame. Here is a piece cut with a high quality plastics blade. While it is nicely cut, you can see saw cutting marks on the edges. The videos I have seen on making sandwich frame ignore the edges. They jump straight from "getting your acrylic" to "drilling the acrylic" and ignore the condition of the edges. For the best presentation, the edges must be polished. Polishing The Edges? The edges can be polished using one of two methods; Wet Sanding and Buffing an Flame Polishing. 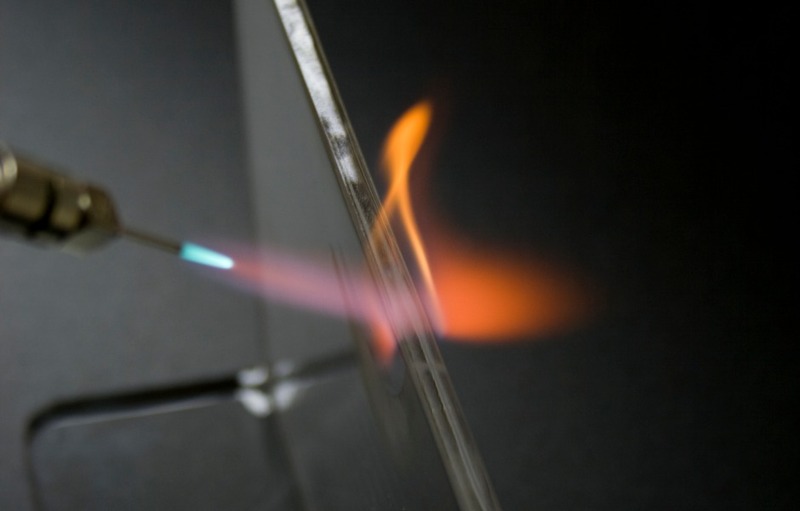 The image at the right show Flame Polishing. When doing Flame Polishing, pertinent safety precautions need top be observed. Wet Sanding and Buffing is more tedious but safer. There are many videos available for both methods. Drilling the Holes If you want the best results, you can't use regular drill bits on acrylic. 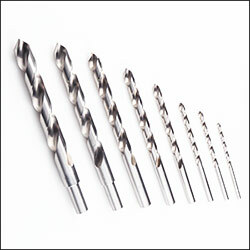 There are special drill bits made especially for plastics. They have a sharper point and less pitch. Regular bits will ride up a drill bit and crack the acrylic. Most of the videos I have seen show them taping the acrylic and going slow. The slow part is right and you might get lucky but you could also crack the acrylic. Plastic drills are inexpensive and easily available. Use them. Search for "Drill Bits for Plastic"
Standoffs. 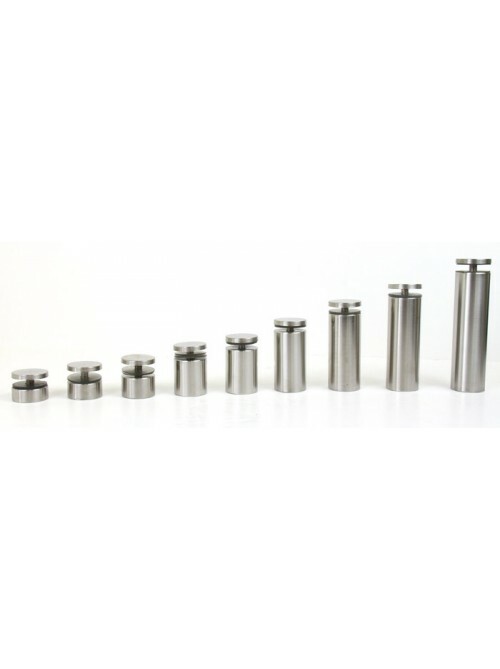 Standoffs are available in a variety of lengths and size. A quick search will find more than you could imagine. Installation. This is one the most time consuming parts and if done incorrectly will leave you with holes in your wall. You should view some of the many videos available. Bottom Line If you want a professional looking acrylic frame, you need to have the tools required, access to acrylic of the proper thickness and have the skills needed for this. If you are lacking any skills, equipment or materials required, you should consider buying an acrylic frame rather than trying to build one.